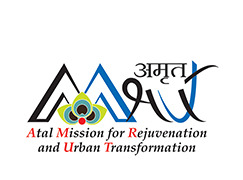 GUDM is the designated nodal agency for implementing AMRUT Projects in the 31 AMRUT cities of the state. The key elements of AMRUT are water supply, sewerage & septage, storm water drainage, urban transport, green space & parks, reforms management & support and capacity building. As per the Hon. CM approval dated 19/04/16, the implementing of STP works to be done by GUDC in the towns where sewer collecting system has been executed by GUDC. The State Annual Action Plan (SAAP) 2015-16, 2016-17 and 2017-20 is approved.